Three years of war in Syria have driven unprecedented numbers of vulnerable people to seek safety in other countries, and the Government of Canada's plan is to resettle 25,000 Syrian refugees from the region as quickly as possible. As you might expect, many Scouts and Scouters are eager to contribute in their local communities. Helping the refugees settle will be a long and complex process. Many have experienced considerable physical and psychological challenges that will require immediate attention. There will be issues relating to settlement, language barriers and job training that will require support over the coming years. We are fortunate that Canada has a strong network of social service and public health agencies across the country that have skilled staff and volunteers to help our new Canadians face these challenges. Contact the local support network in your community and ask where you can help. It could be a food or clothing drive or packing care packages for new arrivals — whatever is identified by those who are leading a coordinated community response. The Government of Canada has created an online directory of local support organizations that identifies the support networks that have already been established in your town or city. 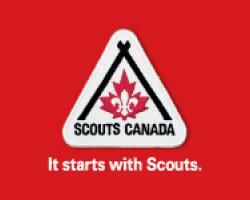 Make these organizations aware of Scouts Canada’s No One Left Behind program. No matter where they have come from, helping children and parents adapt to their new community has always been a strength of Scouting, and No One Left Behind can address the financial barriers that they will face. All the details relating to No One Left Behind are posted on Scouts.ca. Work with your local foodbank to support their efforts to meet demands for food, clothing and household goods. An online directory of food banks across Canadawill point you to a partner in your community. Develop plans for a Good Turn Week project. Syrian Refugees will be arriving over the next few months, but the demand for support will be ongoing. Good Turn Week is a great opportunity to keep your community engaged and there is funding available to get your idea off the ground. Get the details on Scouts.ca. Over the coming year, we all have a tremendous opportunity to support our 25,000 new Canadians and to demonstrate what Scouting stands for — Canadian youth making a meaningful contribution to creating a better world. We would like to thank those of you that have already contacted us, and we look forward to hearing about your efforts in the coming months.